Has anyone not heard yet that the GMAT is changing on June 5th? If you’re sure you won’t need to take the new test, you don’t need to read this article. If you are planning to take the new test, though, or if you think you might have to, then read on. Over the past week, GMAC has released some additional information about the new Integrated Reasoning (IR) section – in particular, some very key details on how the scoring is going to work. When GMATPrep 2.0® launched a few weeks ago, it became apparent that the scoring scale would be from a low of 1 to a high of 8, and GMAC has since confirmed that the scores will be given in integer increments – no 6.5 or 7.5 scores. More importantly, we now know that the IR section scoring will be based on percentage correct, unlike the quant and verbal portions of the test, and there will be no penalty for incorrect answers. Integrated Reasoning is not an adaptive test, so the primary determinant of our score really is just how many we get right. (Note: although the test is not adaptive, we still can’t go back to questions we’ve already finished. Once you confirm an answer, that question is gone for good.) Further, the different question types will all be weighted the same – so it’s not the case that, say, Graphics Interpretation questions will be any more or less important than Table Analysis questions. As with the quant and verbal section, first a raw score will be calculated and that raw score will then be converted to the 1 to 8 scaled score. Why the two steps? For the most part, the conversion will be straightforward, but they may occasionally have to make very minor (emphasis on the word minor) adjustments to the score based on different overall difficulty ratings for the section given. Obviously, we’re not all going to see the exact same questions – otherwise, it would be easy for someone to go take the test and then tell everyone what questions they’re going to see. So there will be some number of different mixes of questions, and those mixes might not have exactly the same overall difficulty across all questions. It will NOT be the case, however, that we’ll ever be penalized for randomly getting a much easier section than someone else. Nobody, for example, will get all the questions right and then only receive a 7 because the test section was deemed “easier” than others. According to GMAC, any adjustments will be very minor and will be right at the margins where someone’s falling exactly between two scores. There will be experimental questions in the section, but we don’t know exactly how many – and it’s impossible to tell which count and which don’t while taking the test. We’re guessing that there will probably be 2 or 3 experimental questions in one IR section. The mix of “counted” questions will be the same for everyone (e.g., perhaps everyone will get one Multi-Source Reasoning with three questions, two tables, two graphs, and two two-parts, and then three experimental questions). They are not disclosing exactly what this breakdown is, however – because, of course, then that would tell us how many are experimental, and they don’t want to tell us that. What does that mean for us? Nothing new, actually; we should do the same thing we do for quant and verbal. If we can answer a particular question in roughly the expected timeframe, we do so. If we can’t answer it at all, or need a lot more time than allocated, we try to make an educated guess. If we can’t, we just pick something and move on. We also still want to make sure we answer every question – if you’re about to run out of time, put something in for all remaining questions. You might just get lucky and pick up a point! Further, because all question types are created equal, you can concentrate on the ones that are the easiest and most efficient for you. As always, make sure not to rush through things that are your strengths and make sure not to spend extra time on things that are your weaknesses. Finally, similar to quant and verbal, don’t try to guess which ones are experimental, and also don’t let yourself get so caught up in one question that you blow a bunch of time – just in case it really is experimental. GMATPrep 2.0 is available (and works on Macs! ), but the IR section has the same set of questions for both practice tests. You can take GMATPrep 1 normally, but we recommend that you prepare another set of Integrated Reasoning questions to make up your own IR section for the second test. (Otherwise, you’ll be skipping the IR section, which might give you an artificial advantage on the quant and verbal sections because you won’t be as mentally fatigued as normal.) You can devise your own 12-question section from additional practice questions available within GMATPrep 2.0 or from some of the Official Guide IR questions. Within GMATPrep 2.0, there is an “updates available” icon that will pop up whenever there are software updates available. When this icon pops up, click on it! First of all, if the update fixes a bug, you definitely want that fix. Second, hopefully they will add a second full IR section to the second test at some point, so you want to download that when / if it becomes available. OG13 has a code for an online question bank consisting of 50 IR questions. Your access is good for 6 months from the date of activation, so don’t activate the set until you’re ready to do your first OG IR problem. Also, if you’ve already bought OG12 but are planning to take the new test, good news: you can purchase access just to the online IR question bank for $10. This option will be available until June 5th; after that, the 50-question IR bank will be available only with purchase of OG13. (1) The scoring is based on percentage correct and there will be experimental questions. Answer everything. Don’t spend much too much time on any one question. You’re going to need to guess sometimes; know how to make educated guesses. In other words: do what you’ve already been doing for quant and verbal. (2) Save a mix of 12 questions from OG13 or from the additional question sets found in GMATPrep 2.0. You’ll use these 12 questions as your IR section when you take your second GMATPrep. (3) If you don’t want to buy OG13 but you are taking the new test, make sure to buy access to the online IR question bank before June 5th. 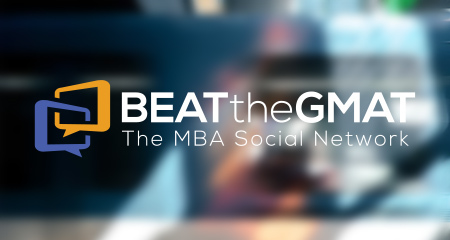 * GMAT® and GMATPrep® are trademarks of the Graduate Management Admissions Council. Usage of these names or any material does not imply endorsement by GMAC. Thank you very much for that information. I took the GMAT 2 weeks ago, but I intend to take it once more, and had intended to do so in May. However, I wonder if I should take the GMAT before June 5, or if I should wait for the new format. Do you believe that schools will favor the new format over the current one? This year, no - in my opinion, this year, the schools will mostly gather data and try to figure out what it means and how much weight to place on it. So if you're planning to apply in the fall, don't worry about choosing the new over the old for that reason. That could start to change over the next few years (though it's impossible to predict whether or when, obviously). Thank you for the reply, Stacey! hey stacy can you plz explain what it means ?? The IR section is made up of 12 questions. The second GMATPrep test does not have new IR questions - they're the same questions from the first GMATPrep test. So if you want to have a second "full" GMATPrep experience, then you need to save 12 questions from some other source and use those as the IR section for your second GMATPrep test. hey stacey thanks i also want to ask one more thing. the online IR section by GMAC features only 50 questions. So is it really worth the $10 ?? considering the number of questions involved. I think it's personally a good deal. GMATPrep contains 12 IR questions (combined) in the tests, an additional 15 free questions, and the ability to buy access to a set of quant, verbal, and IR practice questions for $25 (that set has 24 IR questions). So 50 questions for $10 = a good deal for me (though I just bought OG13, so I got the questions that way).